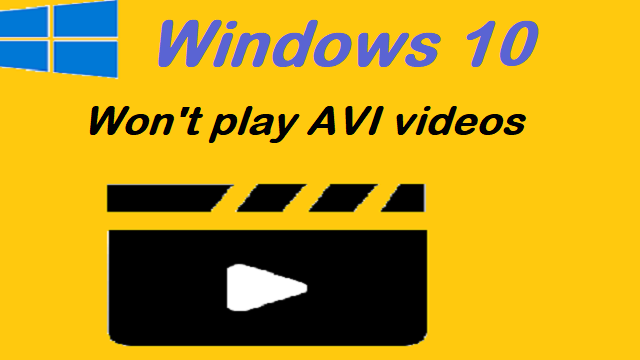 Are you unable to play AVI files on Windows Media Player or some other players? Is the error code 0xc00d5212 is the reason behind this issue? Every time you try to play .avi file on Windows 10, but getting the error “Can’t play. This item was encoded in a format not supported 0xc00d5212”? Many users have resolved the error code 0xc00d5212 by simply changing their default Windows Media player to VLC Media Player. There are many file formats that Windows Media player doesn’t support them. In this case, you need to download and install VLC Media Player. After installing VLC completed, you right-click on the video that is throwing the error and open it with VLC Media Player. Now you will see the file should play smoothly in VLC Media Player. Lastly, restart your computer and see if the error code 0xc00d5212 is fixed. If the error code 0xc00d5212 still occurs, you can visit the manufacturer website of the computer to download and install the latest the display driver or go to next solution. When the video can’t be played on Windows 10 and error code 0xc00d5212 pops up, chances are your file has incorrect Codec. Many videos taken from Smartphones or any other device may have the wrong Codec. It is a reason that you can’t play AVI videos. To fix this issue, you need to convert your video from one file format to another. To do this, install Video Converter tool on your computer. Then you just select the file in the Converter tool and Convert. When the Conversion process is completed, you open the file with VLC Media Player and check if the error code 0xc00d5212 is solved. Changing registries by your own may be dangerous as the whole system depends on these registries. So, it is recommended to use a professional tool that can do this job for you. When it comes to computers, it is all about taking the things safely. So a professional registry fixer tool can scan your PC for registry entries and corrupt system files. This can take a minute and you will be shown the list of things that need to be fixed. Fix them all Immediately. Apart from all these, there is one more reason for Encoded Format Windows Error 0XC00D5212 while trying to play AVI videos on Windows 10. That is AVI video file corruption. To repair damaged AVI video file, make use of video repair tool by name Remo Repair AVI Software. So these are the methods to fix the Windows error 0XC00D5212 which will pop up while trying to play video files like AVI. If you have any other issues like AVI file is unreadable, then you can make use of video repair tool to easily fix the issue.